Best buddies with the GG! 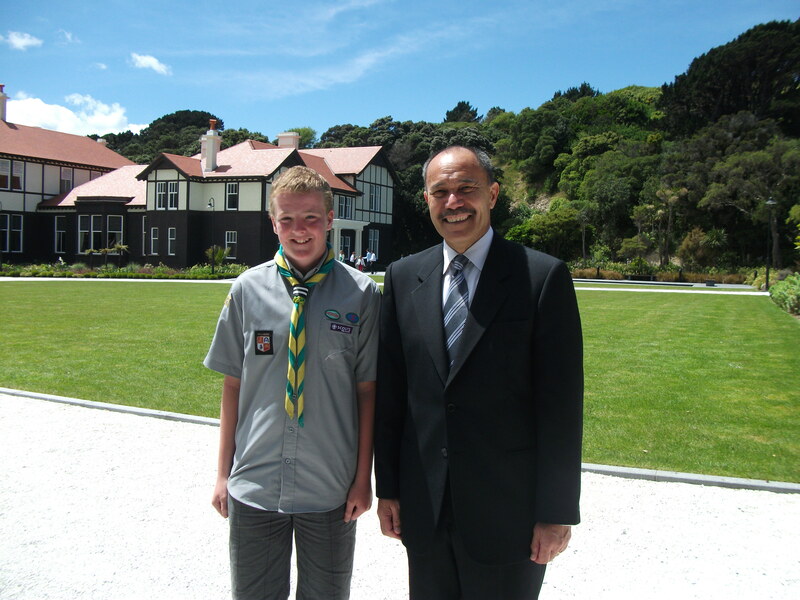 One of our Scout Patrol Leaders, Liam, was invited to attend the Royal Visit recently at Government House in Wellington. His attendance provided an opportunity for this photo to be taken with Lieutenant General Sir Jerry Mateparae (the GG is Chief Scout in NZ). It was apparently the only photo taken with a member of the visiting public… wearing a scout uniform does have its privileges! This entry was posted in Activity, Scouts, Scouts in the news by Administrator. Bookmark the permalink.